Angel Beats! Wallpaper: my Soul, your Beats! Minitokyo »	Angel Beats! Wallpapers » Angel Beats! 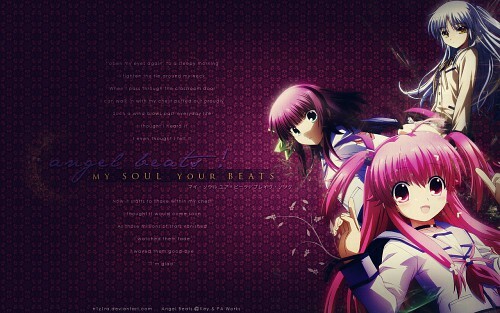 Wallpaper: my Soul, your Beats! Wow! I love the Angel Beats wallie. I really really like this wallpaper! Wow! The wall is really nice. Good job. i love this picture very much,thanks a lot. just wondering why is yui at the front? Pretty cool wp. I like a lot this anime. Thanks for sharing.